The CHCA pretends to be interested in ensuring that the public receives reliable information about alternative medicine. One of their stated aims says that "The CHC is committed to enhancing the public health and wellbeing of the Australian population through education and information on the use of complementary healthcare products". This might be more believable if the organisation was prepared to give some attention to failures and flaws in alternative medicine. It does nothing about useless devices like zappers or magnetic "healing" products, it opposes informative labelling of products and restrictions on the advertising of unproven cures, and it appears to be totally uninterested in the possible dangers of extreme quackery. Its job is to promote "alternative" medicine in a totally uncritical manner using whatever comes to hand. The Complementary Healthcare Council of Australia also won the 2003 Bent Spoon award from Australian Skeptics. The deciding factor was when the CCHA asked the government for several million dollars to educate the public about alternative medicines. This request was in response to the discovery that Pan Pharmaceuticals, Australia's largest manufacturer of alternative medicines, had quality control procedures which were so lax that the only facts about a product which could be accepted without question were that the bottles were made of glass and the boxes were made of cardboard. When the government announced that as a result of the Pan debacle some more stringent controls might be placed on alternative medicines, the response of the CCHA, and therefore the entire alternative medicine industry, was to claim that the industry would be bankrupted if it had to do what James Lind could do in 1747. 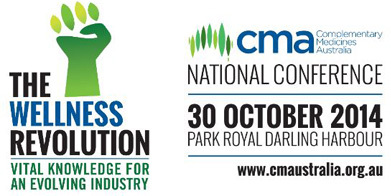 CMA gets an Encouragement Award for its successful change of name from the Complementary Healthcare Council of Australia. The new name more honestly reflects the relationship between Supplementary, Complementary and Alternative Medicine (SCAM) and real health care. They are also being encouraged to allocate more media tickets at future conferences so I don't miss out like I did in 2014 by asking when all the tickets had gone. Some indication of the CHC's desire to clean up the Australian quackery industry can be gained from the following quotes from officials of the organisation. Passage of TGR Amendment No.401 through the Senate would be a denial of our democratic right for responsible and commonsense information on complementary medicines. When changes to advertising rules were suggested, this was going to cause much distress. The advertising review has removed a lot of previously prohibited claims and introduced a system which allows a wider range of claims so long as they are balanced, truthful and not misleading. However, many claims that have been accepted for ten or more years are no longer acceptable and there is a real danger that many multi-component products will be lost as industry has 4 years to comply with the new requirements. So here you see the industry admitting that for at least ten years its members have been making claims that are unbalanced, untruthful and misleading and instead of promising to clean up the act they want more than four more years to stop lying. The main objective of the CHC position is to get out of the pharmaceutical paradigm that is crippling the industry and denying consumers' access to products that are freely available in other comparable countries. There are two possible interpretations of the expression "pharmaceutical paradigm". One is that it is the paradigm which says that products should be thoroughly tested and be shown to work before they are sold to the public. The other is that science should be relevant to research and the pursuit of knowledge. It says much that following these principles might result in "crippling the industry". I started my presentation at the Australian Skeptics 2005 National Convention by apologising on behalf of SkeptoBear, who couldn't be there because he was at Lady Cilento's health farm undergoing detoxification in an American Indian sweat lodge. When I got back home I did a search for Lady Cilento's address so that I could send a get well card to The Bear, and I serendipitously found something very interesting about the alternative medicine industry in Australia. So, what do we now know? We know that people at the top of the alternative industry were aware of the problems at Pan at least seven months before the TGA took action. We know that when Pan was shut down, the unanimous response of the industry was that there was a witch hunt going on and that the real problems were confined to a single packet of Travacalm tablets (and even then there might have been no real problem). We know that when a very serious problem arises it is not addressed but is instead covered up or dismissed as trivial. We know that we can trust them to weed out fraud and bad practices as much as we can trust the claims for the beneficial and healing properties of the snake oil that they sell. And vice versa. Doing a link check on this site I found that the Complementary Healthcare Council of Australia have a new name and a new web address. They are now called Complementary Medicines Australia. I could wonder if the change if name was made to reflect the fact that what they do has little to do with health care, but that would be churlish of me. They are also having a conference this year and I have applied for a free media pass. Sometimes my optimism overrules realistic expectations. I mentioned last week that I had applied for a media pass to the coming conference being run by Complementary Medicines Australia, the industry body for people selling supplements, vitamins, and various forms of magic potions and snake oil. Sadly, I received this email. Thank you for your interest in our National Conference. Unfortunately we have exhausted our supply of media passes for this years event. As I have no intention of paying the $825 for a one-day conference, it looks like I will have to continue to write about alternative "medicine" without the benefit of hearing experts speak about the vital knowledge of the wellness revolution.